Betabrand Dress Pant Yoga Pants had been on my Facebook feed for months. But I wasn’t going to fall for their clickbait advertising. And then I went in-store shopping for new pants for work. I came home dejected. So I gave in. I clicked. 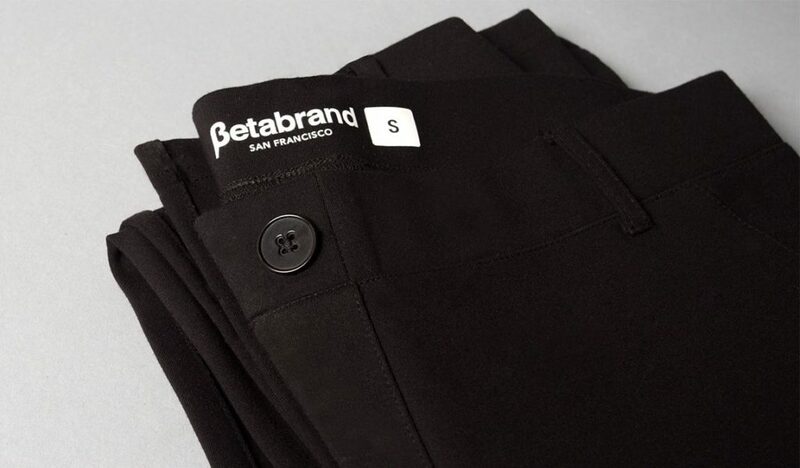 Betabrand Dress Pant Yoga Pants are made from a stretchy rayon blend (68% rayon, 27% nylon, 5% spandex). The material is topnotch. It’s not thin or see-through. And it is wrinkle-resistant. First, these pants are easy to get on. And they stay on, even during transfers. The waist is a 1 ½ inch stretchy elastic (not too thick and it really does stretch). The belt loops are placed perfectly to be used as thumb loops for those of us without hand function. Plus, 4 faux pockets prevent bulk in the belly area and eliminate pressure points on the tush when seated. Depending on your color choice, up to five styles are offered: boot-cut, straight leg, skinny, Palazzo, six-button and cropped leg. I decided to purchase the khaki twill Dress Pant Yoga Pants with a straight leg in long. After reading multiple reviews, I decided to size up. And I made the right choice. A smaller size would have been difficult to get on and off. (I can’t do the “hip shimmy” that you able-bodies can do.) And if you look at the pictures on the website, they fit snugly like… well, yoga pants. The waist is considered a mid-rise. When seated in my chair, the front lays nicely without extra bulk. And the back of the pants are not too low. No need to fear over-exposure when moving around or transferring! The only downer is that it’s recommended to lay the pants flat to dry after machine-washing. I needed help with this since the pants are exquisitely long. I have washed the Dress Pant Yoga Pants a couple times now and they still look great. The material is great. The length perfect. The options endless. Basically, these are the most awesome dress pants ever made. Whether you are a chair user or able-bodied, I recommend giving these a shot. If you try them – or have already bought a pair – please let us know what you think! Use this link to purchase a pair of Dress Yoga Pants and get $15 Betabrand credit. * For your referral credit to work, your must first create an account and have at least $75 in your cart, after discounts. *Full disclosure: By using the link I may get up to $150 in-store credit.